Contains ten basic surgical tools. 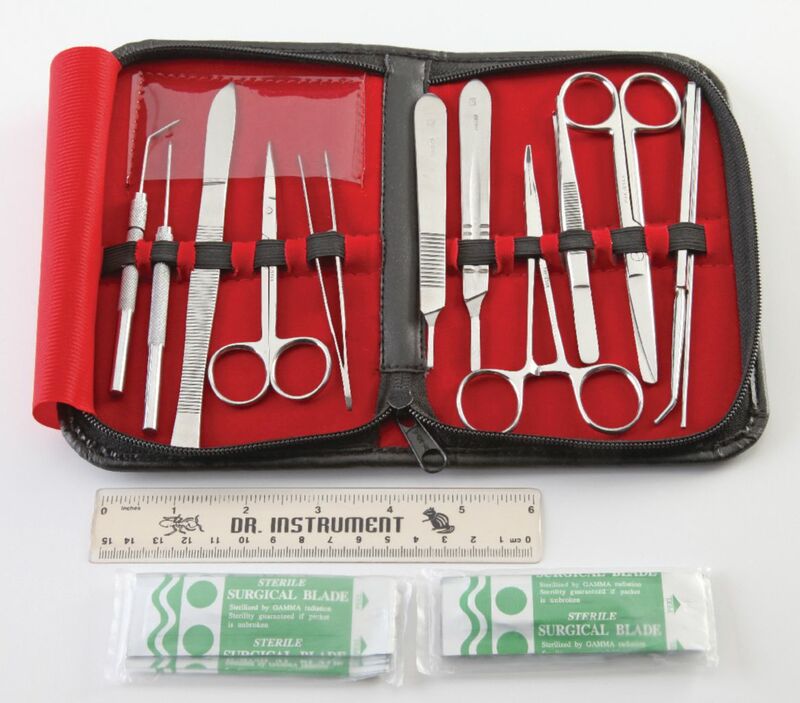 This quality all-in-one kit is ideal for teaching introductory anatomy, nursing, and first-year medical students the proper names and uses for basic surgical tools. The durable and convenient storage case helps keep instruments clean and organized with 10 instrument loops, and zips tightly closed for secure storage. An attractive black vinyl outer cover and red velvet inner-lining give a professional look and feel to any student collection.